So, last week saw the unveiling of the 2010 Fun Fun Fun Fest lineup by the Fun Fun Fun Fest corporation, and some of us were privilege to the official announcement via a press conference conducted at Austin’s Wyndham Garden Hotel. Complete with corporation adorned ties and suits, a PowerPoint presentation, donuts, fried chicken, and tap water, the leaders tickled and enticed with the revelation of it’s real goal for us and our future. “Prepare yourself for an exponential growth in awesome” was one of the leading lines into the disclosure of the lineup. Now, why is Fun Fun Fun Fest rapidly becoming one of the more popular music festivals amongst true music fans these days? 5 years in and this is what we have to look forward to during Fun Fun Fun Fest 2010. 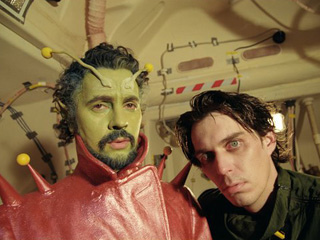 If your Christmas plans are looking bleak, why not spend the holiday watching the incredibly weird Flaming Lips film Christmas on Mars. The Alamo Drafthouse downtown is bringing you the film with viewing times of 9:40pm for Christmas Eve and 7:20pm/9:40pm on Christmas day. Sounds like my holiday plans have just been made! Check the Drafthouse website for tickets and a trailer for the film. 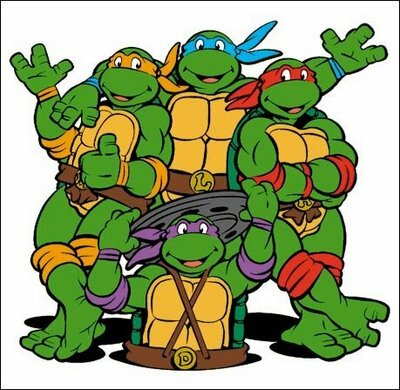 The Alamo Drafthouse at The Ritz downtown continues to bring us randomly awesome things with a showing of the original Teenage Mutant Ninja Turtles movie on Wednesday. As always, if you’re just expecting dinner and a movie, you would be wrong. No, for this event, The Drafthouse is charging you $16 for the movie and all you can eat pizza in a variety of TMNT themed flavors. Showtime is set for 7pm. Buy tickets from the Alamo Drafthouse website and watch a sweet trailer on IMDB. 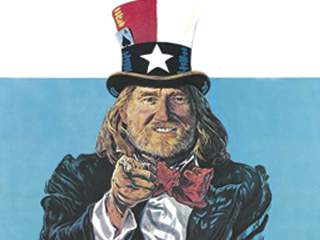 After you’ve done the Blues on the Green thing, why not head on over to the Alamo downtown for Weird Wednesdays? This, as always, is also a free event put on by the cool kids at Alamo with things getting started at midnight. 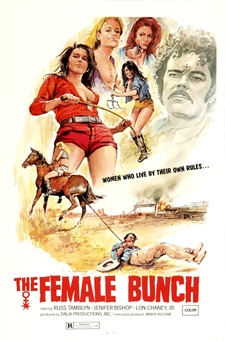 This weeks showing brings us The Female Bunch directed by Al Adamson in 1969. IMDB tags the show with “Women who live by their own rules… They dare to do what other women only dream about! Their law is the whip–their trademark the branding iron!” Read more on the Alamo Drafthouse website. Tonight (7/6) at 7:30pm the alamo downtown will have a viewing of Bradley Beesley’s much anticipated sequel Okie Noodling 2 with Bradley Beesley himself on hand. The movie is a follow up to the wildly popular first installment of Okie Noodling which came out way back in 2001. We here at ATH are crazy excited about the movie because it features a new song from our favorite Oklahomans The Flaming Lips. Don’t know what Noodling is? Read up on wikipedia. Buy your tickets for the show & watch a trailer on the Draft House website. Don’t feel like making the trip down to Selma this Friday, or braving the triple-digit heat? Why not just relax in the air-conditioned comfort of the Drafthouse Downtown and watch your favorite Texan on the big screen while sipping a cold beverage. 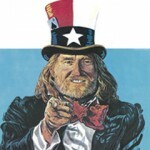 Alamo offers up the 1979 documentary of the 4th of July Picnic featuring all the usual suspects – Willie and Waylon and the boys. Skip the heat and and check out the Drafthouse website for more information. Showing today (06/30) and tomorrow (07/01) at 10:10 pm. We can’t think of a much better way to spend a boring Thursday night than at the Alamo Downtown rocking ’till your face melts. If you’ve never been to an Alamo sing-along, then this is clearly the one to start with. 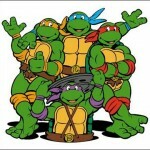 Visit Alamo Drafthouse to buy tickets… rocking every Thursday in June. And here’s a little something to get you in the mood.